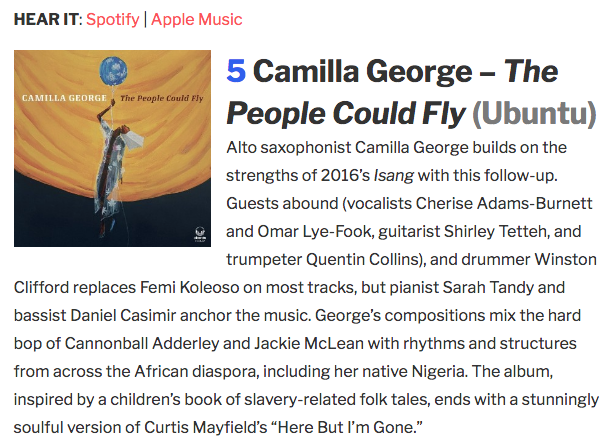 Camilla George & Helena Kay's Albums Chosen as Best of 2018!!! Morning Star Newspaper Gives Heaps of praise! For the full article, please click on the title, above.